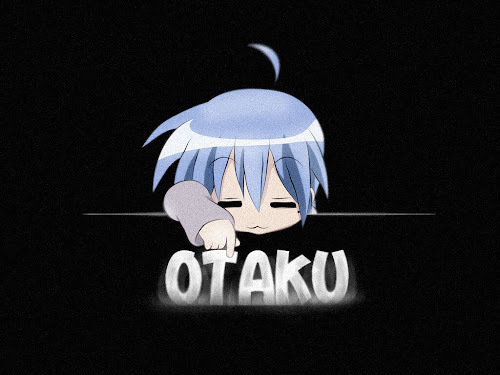 OTAKU CLUB: Touhou for Beginners.How to Play? Touhou for Beginners.How to Play? Hi this is Patchy. 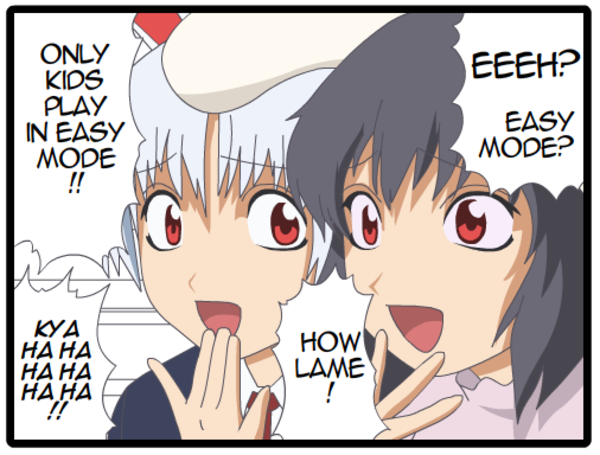 Today, I will be telling you about "How to Play" the touhou main series which is the one with danmaku. The first thing when I try to tell people what is touhou, I will tell them that it is a game similar to Space Impact but, it is harder and more animu. However, the "harder" art can be true and the game looks very hard for a person who have never actually play those kind of games. Trust me, it is the same for me when I first time seeing the gameplay. My first impression is literally "NOPE! I can't do that"
I mean.... Seriously I need to dodge all these? Hell no! Later within few months of playing these games, somehow I found that the game is challenging but interesting. Also, it gives you a great feeling once you cleared it. Back to the main point. The objective of this game is to defeat the enemes by shooting them down and also reduces the boss's hp to 0. Plus, the player can never touch a single bullet. When you think of it, it has rather simple objective. Survive and defeat all enemies. Hey, don't mind those. It makes have some insight on the game faster because in easy mode, The player will have more time to react on the incoming bullets, given that the bullets are less and also slower. When you have the grasp of the gameplay, then continue to Normal mode. This is the most basic movements that the danmaku players need to know. Some bullets in the game (well most) are programmed to hit the player based on the player's location. By moving slightly to the left or right, the bullet can be avoided. While moving minimal, the player can graze the bullets for more points and also prepare on what to do next. Below are some images of streaming with each different type of danmaku. See. All of them has different type of bullets but the movement are basically the same. With some creativity. If the bullets do look crazy like in the 2nd picture, Just try to slowly stream, It works miraculously because most danmaku games emphasize streaming techniques. There are also more advanced version of streaming like in the first image where it involves streaming at circular movements and not only horizontal movements. 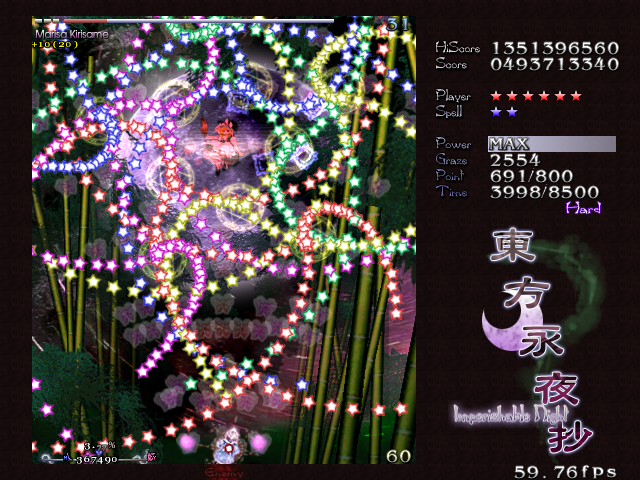 In touhou 8, it also have horizontal streaming. My word about this technique, Move less, live longer. The more you move, the more area you need to focus to, and higher chance to die.